As the sweltering days of summer lead into the chilly days of autumn, our taste in drinks changes as well. When it's time to make the transition, there are a number of fantastic cocktail recipes to mix up. The autumn winds blow in and we tend to seek out warm drinks that help the body beat the new chills. We are also inclined to choose flavors of the season. Those sweet apples that are filling the orchards, the cranberries and pumpkin that are prime picking, and the comforting warmth of dark spirits make an appearance in our glass. Classic and classy. The Manhattan is a favorite fall cocktail, yet it's time to switch things up and go rustic. Sweet flavors, warming whiskey, and a smooth palate are characteristics that place this drink into the fabulous fall cocktail line-up. The rustic Manhattan puts a twist on each of the ingredients: the whiskey is apple-flavored, the vermouth features raspberry, and the bitters are barrel-aged. 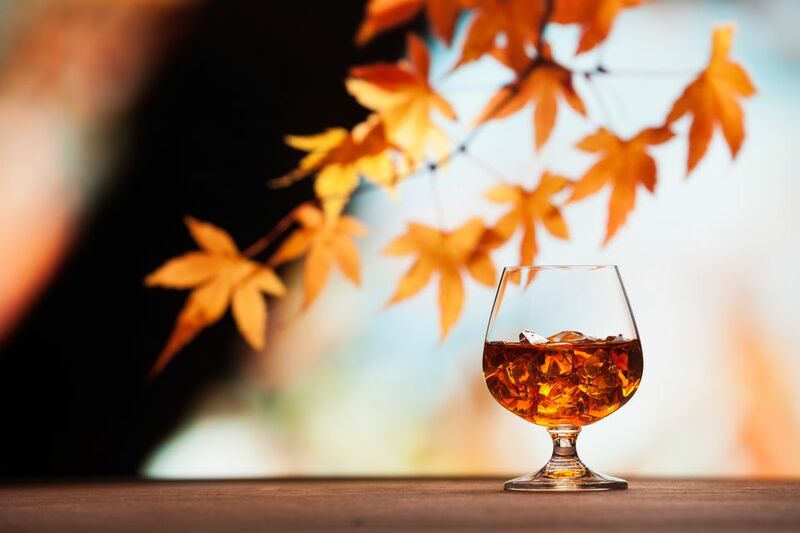 It is a delight to drink and fun to share at an autumn party. Hot apple cider is a big hit in autumn and this warm drink features that wonderful, distinct taste. The liqueur used is Tuaca, a hidden treasure from Italy that has deep roots and a hint of vanilla and citrus flavors. When the apple and vanilla flavors come together, you have a comforting delight. It is the perfect drink for chilly afternoons and cozy nights and it is very easy to make. You may even be drinking this one all season long. Pumpkin is one of the distinct flavors of autumn. If you have a craving for all things pumpkin, you'll want to mix up this martini. It is a creamy delight that captures the sweet flavor perfectly. It makes a great dessert cocktail for the season. The pumpkin martini is a very easy-to-make drink. Once you find a good pumpkin liqueur or syrup, you'll be making it all the time. Serve this one up for Halloween, Thanksgiving, or anywhere in between. Few warm drinks can rival the iconic Irish coffee. This classic may even be easier than you think. The original recipe requires strong coffee, a little brown sugar, whipped cream, and, of course, your favorite Irish whiskey. It warms you up and keeps you going for whatever lays ahead in your day. Once you break past the thought that this is a drink only the pros can make, you'll realize why it's been a favorite for decades. Autumn is the perfect time to cozy up with a good book and a warm mug of hot chocolate. You can always improve on the average cup of cocoa and you will find this recipe an irresistible way to do so. The hot peppermint patty adds mint and chocolate liqueurs to your favorite cocoa, creating a warm and relaxing nightcap. You might even want to mix it up a few times a week. It's a fall tradition that thousands of hunters pack their gear, don their long johns, and trek through the fields with one goal: getting the big one. Returning to camp—whether successful or not—cannot get much better than if there's a great drink waiting for you. This simple whiskey and cherry brandy mix is ideal in such a situation. The hunter's cocktail is an easy two-ingredient lowball that is as warming as it is cold, just the thing to take the chill out of your bones. Mulled in the drink world refers to warm drinks with spices and quite often the mix includes wines or ales. This recipe is a twist on this favorite formula and the result is surprising. The mulled spiced Cheribundi mixes bourbon with cherry juice and root beer to create a warming drink that is perfect for chilly nights. As with most mulled drinks, the recipe is designed to serve a small party and you'll be sure to impress everyone with this one. What would an A-list of autumn cocktails be without a good scotch drink? This is, after all, the season when we turn to the dark spirits and whiskey becomes the talk of the bar. The godfather is an icon of simple and satisfying whiskey drinks. The distinct flavor of amaretto enhances the smooth pleasure of scotch on the rocks without disturbing the flavor too much. Try this one during happy hour after a tough day at the office. The pear is the other fall harvest fruit and it deserves just as much attention. While it's often forgotten in the bar, more great pear cocktails are being developed and the pear naked sailor is a shining example. The ingredient list may be lengthy, but this recipe mixes up quickly. The spiced rum is an ideal base for a sweet pear puree and homemade ginger nectar. It's tall, refreshing, and filled with flavor, just the type of snappy cocktail you want for autumn nights. 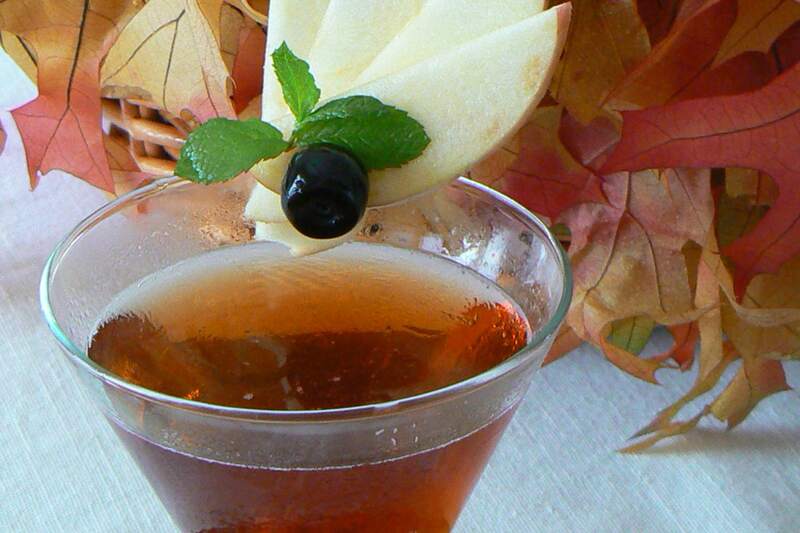 One of the best aspects of autumn drinks is putting a fall twist on your favorite cocktails. Since the Moscow mule has gained a renewed fame recently, there are plenty of new takes on that great ginger beer recipe. Among these modern drinks is the apple cinnamon mule. It's everything you love about the original—a great vodka, lime juice, and ginger beer—but it adds apple cider to the mix. When garnished with a cinnamon stick, the autumnal flavors are complete and you're in for one great drink!